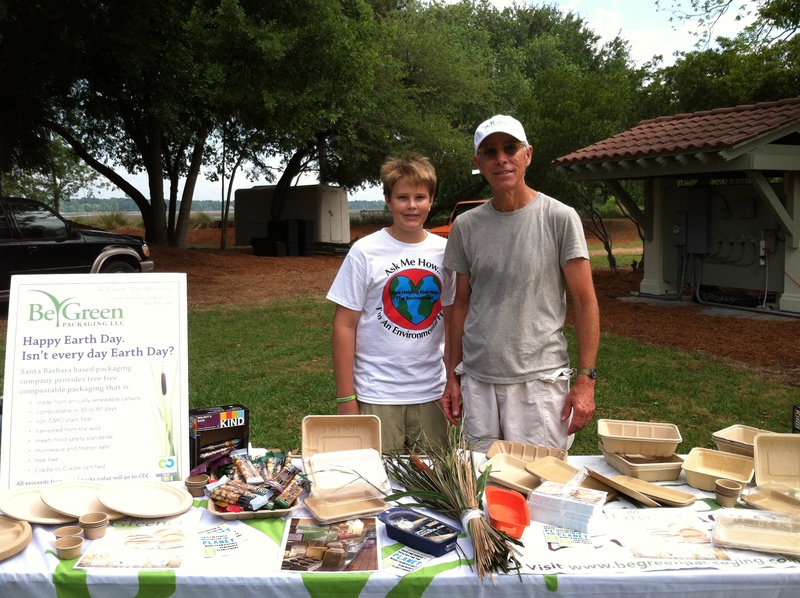 This year, Be Green Packaging celebrated Earth Day simultaneously on both coasts of the US. On the Atlantic side, Be Green collaborated with Experience Green in South Carolina on Hilton Head Island adjacent to the company’s new manufacturing plant in the area, and on the Pacific side, in Santa Barbara, CA, where the company is headquartered. Be Green engaged in a variety of outreach measures to help educate both communities on various aspects of sustainability, recycling, and composting, as well as providing a platform for interested parties to experience and interact with knowledgable representatives of the company first hand. 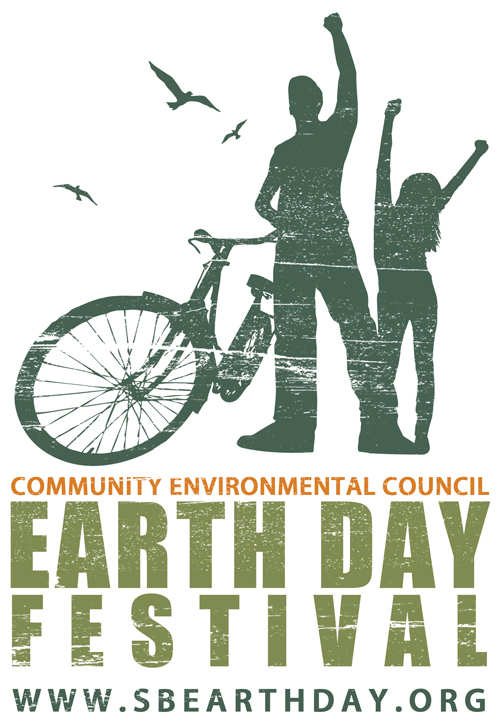 Every year the Community Environmental Council (CEC) hosts an incredible Earth Day Festival at Alameda Park in downtown Santa Barbara and this years event is lining up to be the best yet. The festival will feature hundreds of booths from community organizations and businesses, a green car show, organic, local cuisine, a live music stage and more. 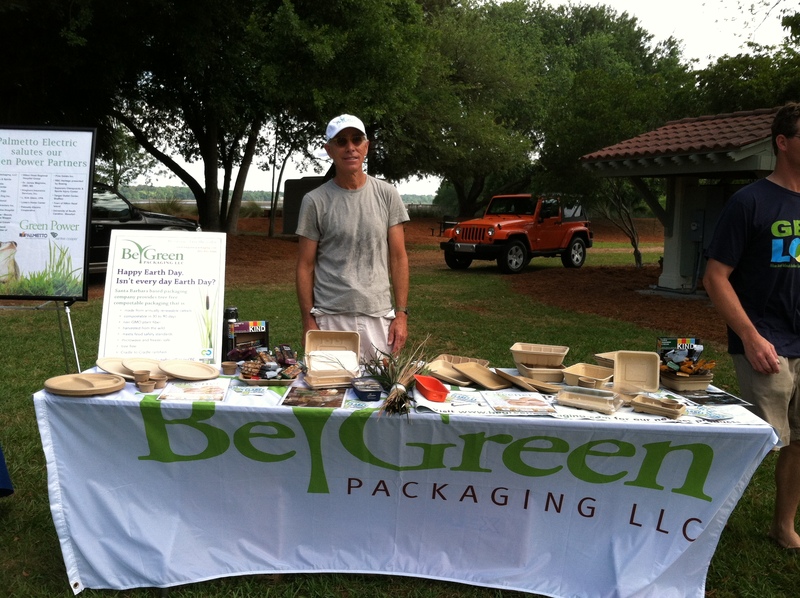 Be Green Packaging is a long-time contributor to the CEC and will be supporting the organization and raising awareness on compostable and recyclable packaging with a booth at this years event. 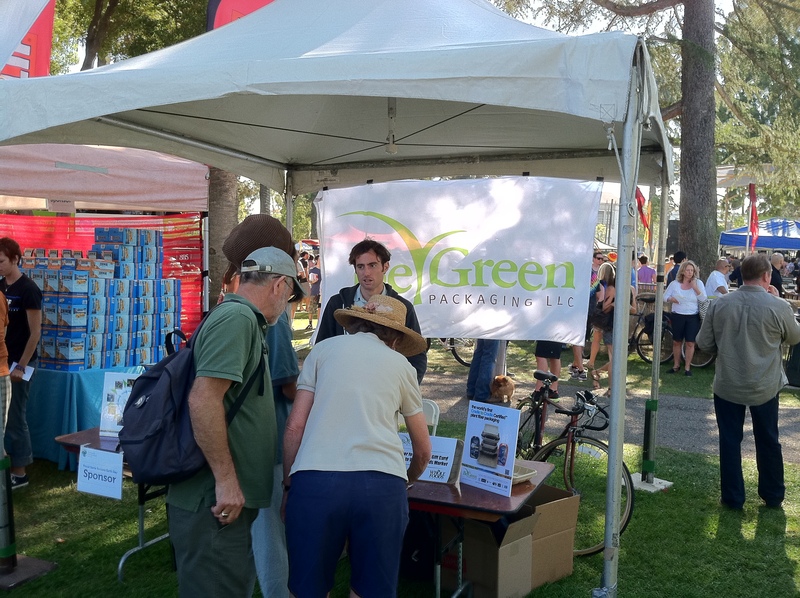 Stop by the Be Green booth to enter for your chance to win one of two $50 giftcards to Whole Foods Market. In addition to entering the contest, you can check out our extensive line of products and even leave with a sample or two. Ever wonder about the life cycle of a compostable product or just how it was made? This is the perfect opportunity to find out first hand from our knowledgable Director of Media and Marketing Justin Faerman, who will be on hand to answer any and all questions about Be Green’s extensive product line. Not able to attend but still want to win a $50 Whole Foods gift card? First, ‘Like’ our Facebook page here: Be Green Facebook Page Then sign-up for our e-mail newsletter at the bottom of the Be Green Packaging Store Homepage After you have completed those two steps you are automatically entered to win one of the two giftcards. Winners will notified by e-mail shortly after Earth Day weekend. 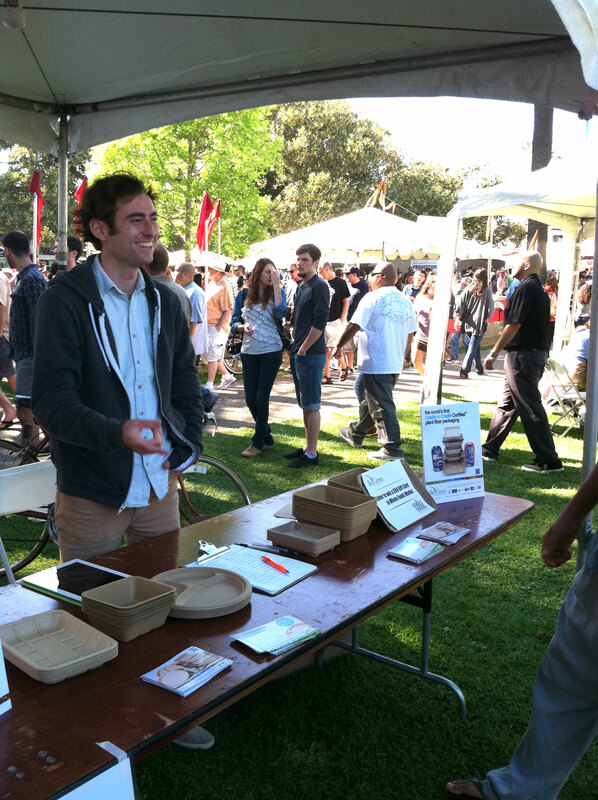 The 2012 Santa Barbara Earth Day Festival will be held Sat. and Sun. April 21st & 22nd from 11am-6pm at Alameda Park. Experience Green, a nonprofit organization whose mission is to build sustainable communities through experiential educational, engaging citizens and businesses, and working with public institutions, will be present at Hilton Head Island, South Carolina’s first ever ‘Zero Waste’ event this coming Earth Day weekend. The ‘Get in the Loop’ 2nd Annual Earth Day Celebration seeks to raise awareness on environmental issues that now face our society while also providing real-world solutions that encourage meaningful change on a community-wide level. Zero Waste can be defined as the proactive approach to waste – the idea that we can design, use, and dispose of products in ways that don’t need landfill space. The Zero Waste movement has been rapidly gaining traction throughout the country and world in recent years as environmental awareness increases due to educational outreach and major issues such as climate change. Although the movement is driven largely by consumer demand, it is up to businesses to implement the changes needed to move away from packaging and products that are destined for the landfill. Be Green Packaging realized the need for truly sustainable, Zero Waste packaging back in 2007 and hasn’t looked back. The company designs and manufactures compostable and recyclable food service and consumer packaging from annually renewable plant fibers such as bulrush, bamboo, and bagasse (sugar cane pulp), among others. Be Green is currently developing the first US-based plant fiber packaging manufacturing plant right in Hilton Head’s backyard– Jasper County, South Carolina. Be Green’s products are a textbook fit to the ‘cradle-to-cradle’ closed loop model that is central to the Zero Waste movement. The company uses the aforementioned non-food plants as feedstock for its packaging. The result is a durable, natural product that is the perfect solution for single-use food service packaging and various consumer packaging applications. Furthermore, when the packaging is ready to be disposed of, users can either recycle or compost the product, closing the loop and avoiding the landfill altogether. Be Green will be sponsoring the ‘Slow Food District’ at this years event, where local restaurants will serve food to attendees on the company’s compostable dinning ware. When diners are finished eating, any left over waste will be “fed” (along with Be Green’s plates and trays) into Wilbur the Waste Eater, a commercial compost unit, as part of a collaborative pilot program effort of the Sea Pines Resort, i2Recycle, and Experience Green. The event will be held on April 21st, from 11 am to 5 pm, at Shelter Cove Community Park, Hilton Head Island. Admission is $5 for adults and free for kids 12 and under. Every year, San Francisco State University hosts its annual Farm to Fork event celebrating the growing local food movement. All produce used at the event must be grown by local farmers within 250 miles of the campus. All proceeds from the event will be used to support sustainable food initiatives on campus. Campus-based sustainable food programs are capable of reaching large numbers of students and having a permanent impact on their lives. A university that sources its food from local communities can support several large farms and have a major impact on the viability of sustainable agriculture. 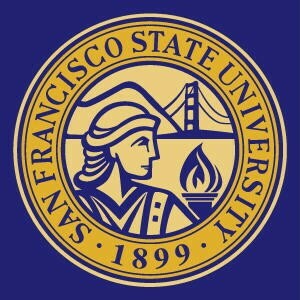 Be Green Packaging is proud to support SFSU sustainable food programs and initiatives. FREE SHIPPING on All Orders Over $99 at the Be Green Packaging Store! In celebration of the launch of our new online green packaging store, Be Green will be offering free shipping on all orders for a limited time. Be Green’s new web store offers a complete line of compostable and recyclable foodservice packaging that is perfect for restaurants and small businesses looking to go green! Customers can now order by the case or by the sleeve for those looking for smaller quantities of product.